The winter storms have put a lot of man made rubbish on our lovely beaches. This coming week there will be a big push to Bag The Bruck all around Orkney. Thanks in advance to everyone taking an hour or two to improve the county for wildlife and visitors and ourselves. 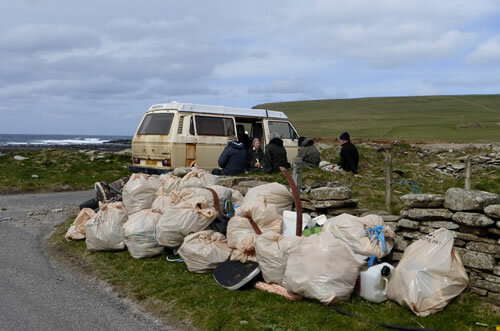 Join our annual stint for Bag the Bruck at our ‘usual’ patch. Bags/gloves provided but make sure you wear warm clothing, sturdy footwear and bring a snack – and binoculars! – to enjoy a bit of birding afterwards.